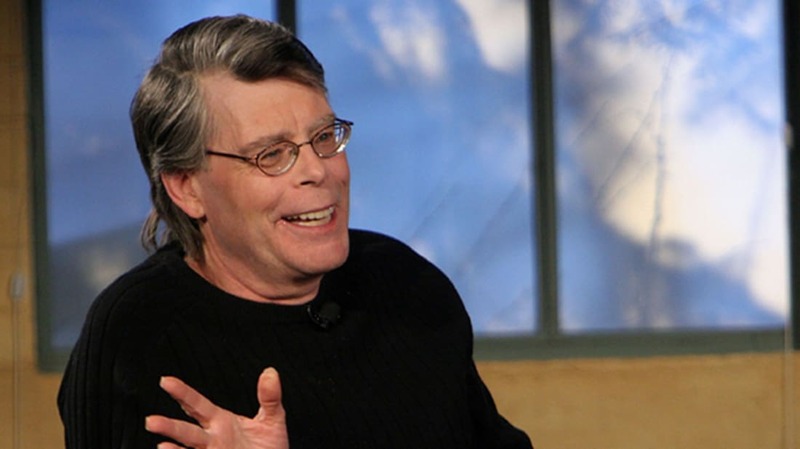 Legendary horror writer Stephen King has sold over 300 million books, and while his prolific output might lead you to believe he publishes every page he produces, that’s not exactly true. Here are seven tales that King fans are highly unlikely to ever see. King completed his first novel at just 16 years old, and at 50,000 words, it’s just a fraction of some of the doorstoppers he would later publish. In a post-nuclear war landscape, a young man attempts to sabotage the Sun Corps, a military force that’s secretly a race of aliens called the Denebians. King considers it a highly juvenile piece of work that he’s content to let rest at the Fogler Archive at the University of Maine: you can read it there, provided you get permission from King. While King has collaborated with Peter Straub and X-Files producer Chris Carter, he’s generally a solo act. Exceptions can be made, however, if you happen to be related: He’s co-written works with sons Joe and Owen as a way of fostering their interest in writing. As a child, the latter helped King—or rather, King helped Owen—on I Hate Mondays, a short story about two misfits who are kidnapped by a goon named Doctor Mindbender and forced to give up the combination to a safe. It also resides in the Fogler Archive. In the late 1970s, King contributed a short story for Harlan Ellison’s anthology, Last Dangerous Visions. The collection was never published, and King has never bothered to find another home for Squad D, his tale about the only survivor of a Vietnam platoon who missed the battle that killed them all because he was in the infirmary for hemorrhoids. Guilt-ridden, the soldier contacts the families of the deceased to apologize, with a Twilight Zone-ish result. The story has found its way into margins of the Internet, where one could find it if so inclined. Before writing Under the Dome—about a town suddenly inhibited by a giant sphere—King played with the concept in other incarnations. He took two passes at a similar premise titled The Cannibals, which was nearly completed in 1981 and clocked in at around 500 pages before he wound up losing the manuscript. It turned up in 2009, leading to Dome. Owing to fan curiosity—and to put to bed rumors Dome was lifted from the plot of The Simpsons Movie, which saw Springfield encased in a giant bubble—King allowed excerpts to be posted on his official website. King started work on this novella circa 1987 and never completed it. Its existence was unknown until 2013, when a French Stephen King fansite pulled it out of obscurity courtesy of a man who claimed he obtained it after meeting King via the Make a Wish Foundation. According to Cemetery Dance, the publisher that acquired the original, King has no plans to revisit it. King completed this 150,000 word novel while he was a senior at the University of Maine in 1970. In it, a gang plans a race riot to mask their plan for a series of heists. Twelve publishers rejected it, including Doubleday, which would later prove to be a lucrative partner for King. Disappointed at the time, King later reflected that it was "tawdry" and that he never bothered to have it critiqued in his literature class. Additional Sources: Stephen King: Uncollected, Unpublished.